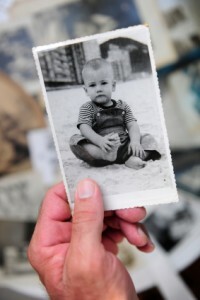 Scrapbooking your family history is a special type of scrapbooking. It involves people that represent where you came from, and make up who you are. There is a special term that has been coined in the scrapbooking world to describe this type of scrapbooking. The term is Heritage Scrapbooking. The definition of the word heritage is, “something that comes or belongs to one by reason of birth”. So, heritage scrapbooking can take on many different forms if you think about the word heritage, and what it means. Maybe your family’s past was not ideal. Maybe you have a history of slavery in your family, or a relative that the family was not too fond of. It is still a part of your heritage. It is up to you whether or not you want to preserve that part of your family history. Is it a story that needs to be told no matter if it is a good story or bad one? That is a question that only you can answer. If you are trying to decide how to group photos, or how to scrap them in a way that tells the story, and doesn’t just display them, here are a few ideas that will be discussed in more detail in future posts. Heritage pages can be as simple, or as complex as you like. If you want to find more out about a photo, and tell a story on a page, then you can do it! If you simply want to honor a person with dates, and their name along with a photo, you can keep it simple too. The beauty of scrapbooking is that it is all about your preference. There is no right or wrong way of doing it. In my opinion, I think the good and the bad should be included when scrapbooking your family history. After all, your heritage, is what makes you who you are. It is where you come from. So, even though you may not be proud of that part of history, there are future generations that will still want to know about it. I like the term heritage scrapbooking. It represents more than just photos on a page. It represents a history of who you are.